When people visit their local garden nursery to start a new landscaping project or replenish an existing garden, they should consider a few steps. First, carefully inspect leaves, stem, and roots for any signs of disease and bugs. As an unhealthy plant may destroy surrounding foliage when planted. Several experts suggest selecting plants in the budding stage, instead of the blooming stage, for the best landscaping results. Signs of a Thriving, Healthy Plant. The stem should be sturdy and thick. Most experts agree that it’s easier to transplant multiple sturdy stems instead of the long, leggy alternatives. Most likely strain for light and are thin, stressed, and weak. There should be plenty of new, lush leaves growing, and the developed foliage should be a bright, even green. The roots can also provide insight into the health. Older ones that have spent too much time in a small pot may be already root bound, making it harder to thrive when transplanted. Therefore, when making a selection, check that the roots are not a tight, dense ball choking the soil and not poking out from the bottom of the pot. Signs of an Unhealthy Plant. At a nursery a person should also know the signs of disease or bad health. The foliage should not show signs of wilting. A couple of leaves that are yellowed or showing leaf edge burn can be a sign of a nutrition deficiency. It can still recover from wilting if pruned and properly cared for once at home. However, if all or most leaves are browned, yellowed, or pale colored, it’s probably best to avoid it; this may be a sign of bacterial or fungal disease. Noticeable blemishes or dark spots on the stem and leaves may indicate a bug disease. This selection should be avoided to prevent introducing pests to an existing garden. At a garden nursery, many individuals may be drawn to blooming flowers. This is a common but understandable mistake. A full bloom may seem like evidence of good health, but it may be too late in the season to purchase a flower that is already blooming. Instead, select the pots that have tightly formed buds. Not only will the buds bloom at the right time in a home landscape, but also they tend to be more resilient against transplant shock as opposed to fully bloomed ones. If you are looking to do more with your flower garden designs and landscaping, then you need to look different options available. 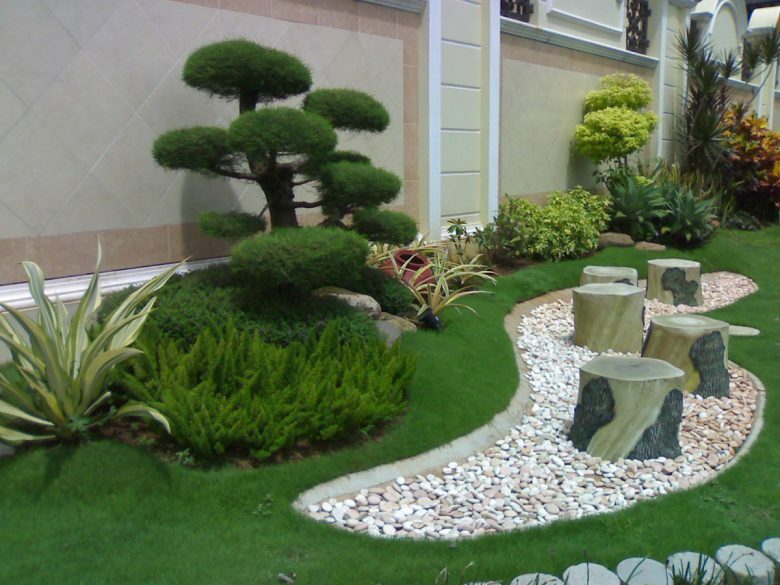 Many homeowners truly enjoy garden landscaping. It is both fun and enjoyable. Spending time in your garden planting flowers or just rearranging. What you already have can take the stress out your everyday routine. For a very few homeowners, a front and backyard of just grass abutting up to their home’s walls is enough. 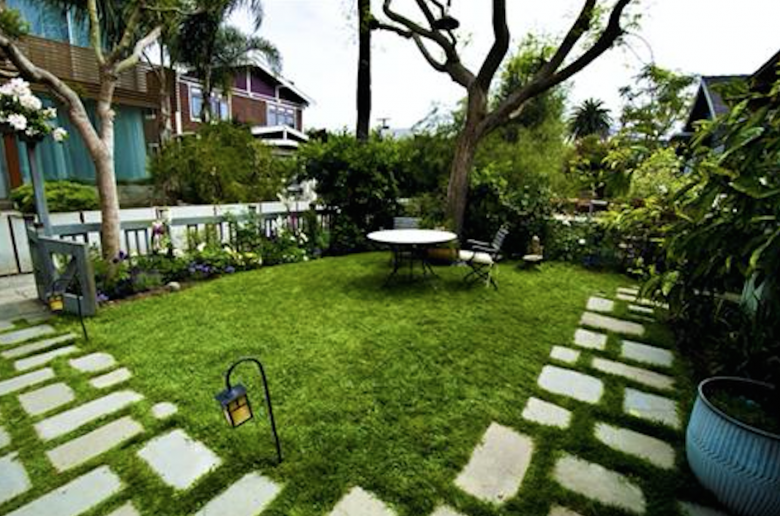 They like the simplicity and ease of maintaining their yard – just mow and go. But most of us like a bit of colour. A walkway. Perhaps a trellis. Maybe a flower border. Something more than just a small patio slab left by the builder just outside the backdoor. But then we think of the work involved, the cost, the planning involved. “Maybe the idea of big grassy yards front and back isn’t so bad, we might think “.Backyard landscaping, front yard landscaping just isn’t for us. But wait. Take a deep breath. Slow down. Landscaping needn’t be that difficult. Take backyard landscaping, for instance. When you think of your backyard, you think of rest and relaxation, don’t you? A sunny place for perhaps a barbecue. A warm spot on which to lie on a hammock, swing in the breeze, read a book and then take a snooze. For a truly simple design, why not “just” have a lovely patio, with shrubs and/or flowering plants along its edges? A good cement/concrete contractor can pour a patio in an oval, curved or just about any shape for you. Add some shrubs, plants and/or some solar patio lights would make a lovely – and simple and peaceful – backyard landscape for you. Speaking of shrubs, they can be a simple, inexpensive addition to your landscaping. Place them in front and in the back of your home, right up against the walls. They add great curb appeal without a lot of muss and fuss. And your shrubbery needn’t be just different shades of green – many shrubs flower and provide wonderful bursts of colour. Check out azalea, lilac, hydrangea, shrub rose, and dogwood at your local nursery to see if they appeal to you. Don’t forget plants that are native to your area. Head to your nursery or do some research on the Internet to see what plants are native to your state. A simple Google search of, say, “Pennsylvania native plants” will give you a wealth of information. Choosing native plants give you peace of mind because you know they do well in your climate and therefore will be easier to take care of. Place wood chips around your shrubs, trees and bushes. They cover up the dirt — thus giving your landscaping a more polished look – and they also help cut down on weeds. They also provide food as they break down and help keep your plants moist. Finally, don’t forget the lawn chair – the perfect addition to your backyard landscape. After all, now that your simple backyard landscape is done, its time to put your backyard to its real use – a lovely spot for a relaxing snooze on a summer Sunday afternoon. An effective and sustainable landscape plan will enhance outdoor beauty while minimizing expenses, chemicals, and labor inputs. Sustainable landscape planning in Delhi is best achieved by following a step-by-step process that incorporates site, plant, and user specific considerations into a working plan that can be easily interpreted upon implementation.